Saucy calzones Shasta and Ulyssa have earned an honorary spot in the mafia with their wetwork, but the girls are ready to leave the crazy mob life behind and return to Nitro. They’ve got one foot out the door when a desperate Nicolo makes them an offer they can’t refuse. A fat paycheck to take his daughter on a vacation far, far away from New Jersey. Still skittish from their last job, the girls are reluctant to sign on until he promises – no killing required. They quickly learn that being assassins was a helluva lot easier than protecting the mobster’s spoiled teenage daughter, Princess. Paranoia fueled situations keep the girls on their toes, but they’re caught flatfooted when attackers kidnap Princess and disappear without a trace. The only thing worse than guarding Nicolo’s daughter…is losing her. Not thrilled with the prospect of new designer concrete footwear, the girls scramble to find Princess and bring her home before anyone discovers she’s missing. Armed with plastic guns and southern charm, they set out on the most perilous adventure of their lives. They may be the worst bodyguards in the world, but they’re planning the rescue mission of a lifetime. 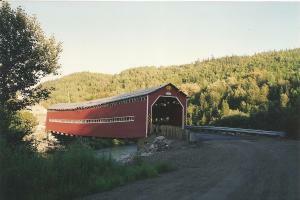 This is the Stone Creek Bridge on Jackrabbit Road. It’s a little-traveled back route that used to be used by moonshiners during the depression. Back in October of 1931, a fellow named Jack Keeley was driving a truckload of shine out to Springfield.